Experience the magic of a classic Himalayan trek in just two weeks, with welcoming Nepali villages and superb high mountain scenery throughout. This superb two week trekking holiday is ideal for anyone with a shortened time frame, but who still wants to experience the essence of Nepal and enjoy some excellent Himalayan trekking. Just a few hours drive from Kathmandu, Langtang is an easily accessibly alternative to the more popular Annapurna and Everest regions yet still offers good tea house accommodation and sensational mountain views as you trek up through the Langtang Valley to almost 5,000m. You begin the trek in the small town of Syabru besi, and from here you gradually ascend, following the course of the Langtang Khola as you trek through dense forest, alive with wildlife, which offers glimpses of the towering peak of Langtang Lirung high above; a hint of what is to come. In spring the forest bursts into colour as the rhododendron trees that line the trail flower with a dazzling array of pink and red hues. Because of this the trek is also known as ‘the rhododendron trek’. As you make your way to the top of the valley the forest opens out to give you 360 degree views of the surrounding Himalayan mountains. Once you have reached Kyanjin Gomba, and are well-acclimatised, there are day walks to summit the nearby high peaks of Tsergo Ri and Kyanjin Ri for even more breathtaking vistas. 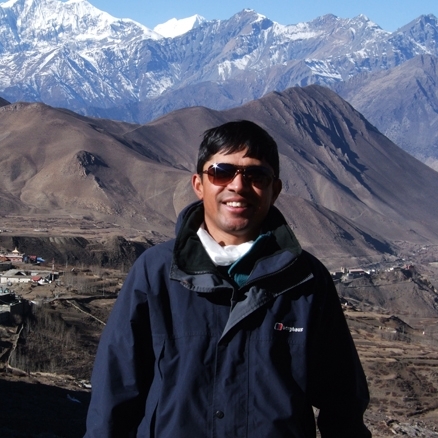 On this trek you pass through the village of Langtang. The original village was almost completely destroyed by a landslide caused by the 2015 earthquake. It is a sobering experience to see what little remains but it also highlights the need for tourism to return to the area and support the local community in their impressive efforts to rebuild their homes and lives in ‘New’ Langtang Village. Your return is on an alternative, yet equally scenic, route finishing at Dunche before heading back to the hustle and bustle of Kathmandu. Here you have the option of extending your stay in Nepal with a selection of exciting tours and activities from an Everest flight to a safari adventure in Chitwan National Park. Meal arrangements: Bed and breakfast in Kathmandu. All meals on trek. Fly to Kathmandu. Transfer to hotel. Trek up the Langtang Valley to Kyanjin Gompa. Day walks to explore the area around Kyanjin Gompa. Trek to Sing Gompa via Thulo Syabru. Trek to Dunche and end trek. Whether it's a cultural tour, gentle walking holiday or strenuous trek, our holidays in Nepal are led by professionally-trained English speaking leaders. They have an intimate and expert knowledge of the history, culture and nature of Nepal and will make your trip a memorable experience. On arrival in Kathmandu you will be transferred to the Shangri La Hotel. This is a very comfortable hotel situated to the north of Thamel, the tourist district of Kathmandu. It has a lovely garden with a swimming pool and several excellent restaurants. The bustle of Thamel with all its restaurants, shops and bars is a 20 minute walk or 10 minute taxi ride away. Day 3 - Drive to Syabru Besi, 1,420m/4,659ft - 6-7 hours. In the morning, after an early breakfast, you will be picked up for the drive from Kathmandu to Syabru Besi, a small village on the banks of the Bhoye Khosi. This is quite a long drive taking around 6-7 hours. You drive first out of Kathmandu valley, over the valley rim and descend to the bustlng town of Trisuli Bazaar. From Trisuli Bazaar you start the drive north up the valley of the Trisuli River. The road ascends from Trisuli Bazaar, 546m/1,791ft, to Dunche, 1,950m/6,397ft, often making the climb by zig-zags in the road. Just before Dunche, where your trek ends, you reach the gates of the Langtang National Park where you have to sign in. Dunche is the district administration headquarters and nowadays quite a bustling town. From here you descend all the way to the Trisuli River at the village of Syabru Besi, 1,420m/4,659ft. Day 4 - Trek to Lama Hotel, 2,450m/8,038ft - 5-6 hours. From Syabru Besi you start your trek to Lama Hotel. The trail first crosses the Bhote Khola using a suspension bridge and then continues east. You soon encounter the Langtang Khola river which will be your companion virtually all the way to Kyanjin Gompa. The trail starts as a moderate climb and zigzags up the broad valley. Continuing up, you will see the village of Thulu Syabru clinging to the high valley side. Shortly after this, you will join the trail which leads to and from Thulu Syabru. You will then enter a deep gorge which marks the start of the Langtang valley. From here you will start a steady descent through a bamboo forest to the valley floor. Red pandas, Langur monkeys, wild boar and many species of colourful birds inhabit this forest. Upon rejoining the Langtang Khola you follow it upstream. Passing through the hamlet of Pairo you climb through lush oak forest to reach the small village of Bamboo. This village is situated on the riverside, with near vertical cliffs on the opposite side of the river. The trail here is constantly being rebuilt due to the river flooding which washes away the path. After an hour or so you cross a bridge over the Langtang Khola to the northern side of the river where you will notice the vegetation changes as the forest gets sparser consisting mainly of scrub oaks, nettles and cactuses as opposed to the damp forest of large pines on the southern bank. A steep pull uphill takes you to village of Rimche, and shortly after this you climb out of the forest to reach the village of Lama Hotel also known as Changtang. Day 5 - Trek to Thyangsyap above Ghora Tabela, 3,104m/10,184ft - 5 hours. Today is important for acclimatisation. Leaving the tea house at Lama Hotel, you continue your climb up the Langtang valley. The area here is densely forested with hemlocks, oaks, maples and rhododendrons, and if you are very lucky red panda can sometimes be seen along this stretch. After a short while, the mighty peak of Langtang Lirung comes into view from the north. Passing a waterfall, you continue up the west bank of the Langtang Khola and pass through the hamlet of Gumnchok, which means 'trekkers' corner'. After a further couple of hours the valley begins to widen and the trail flattens. You arrive at Ghora Tabela, 'the stable of the horse'. This was once a resettlement project for Tibetans but no longer has any permanent residents. From here it is a further gradual climb of around half an hour to reach Thyangsyap where you will spend the night. Day 6 - Trek to Mundu via Langtang, 3,450m/11,319ft - 2-3 hours. There will be no rush to leave today as it is a short walk to your next overnight lodge. However it is important for your acclimatisation to the ever increasing altitude not to ascend too high too fast. Leaving Thyangsyap you will continue through the forest until you climb above the tree line at around 3,150m/10,335ft. You are now approaching the area where the village of Langtang used to be. It is now a huge landslide which you will cross on one of the many paths which have been constructed to allow passage up the valley. There is a memorial to all those who lost their life where you can pause and pay your respects. Continuing on up the valley you soon arrive in Mundu where you will spend the rest of the day resting and acclimatising. Day 7 - Trek to Kyanjin Gompa, 3,870m/12,699ft - 4-5 hours. From Mundu you continue up the ever-widening valley to Kyanjin Gompa. To the east you will gain great views of the peak, Dorji Lakpa, with Urkinmang peak to its left. Also to the south, the peaks of Naya Kanga and Pongen Dopku will come into view. After a steep, undulating trail you will cross a rise and Kyanjin Gompa will appear. Kyanjin Gompa lies in an elongated amphitheatre surrounded by high, snow-capped peaks. After lunch, your guide might suggest a hike up the small hill to the north of the village at the height of about 4,300m/14,108ft. This offers great views of Langtang Lirung, the Langtang glacier, Kimshing peak with its glacier and, to the south, a long ridge on top of which is the Ganja La, a high pass that leads to Helambu. Day 8 - Day hike to Langshisa Kharka, 4,060m/13,320ft - 5-6 hours. Today is a great alpine experience. After breakfast, you leave the village of Kyanjin and walk east towards the Langtang Khola. You cross a small stream and walk close to the faint remains of the Langtang airstrip. You can see yaks grazing in the valley and several yak herders' shelters (Goths). Once you reach Langshisa Kharka, you can see views of Langshisa Ri, 6,310m/20,702ft, Morimoto Peak, 6,750m/22,146m, and nearby glaciers. You then return to Kyanjin Gompa. Day 9 - Day hike to Tsergo Ri, 4,984m/16,352ft - 5-7 hours. Today you have a challenging hill walk up Tsergo Ri - a local conical-shaped peak just short of 5,000m/16,404ft. The high point of your trek, it's quite a tough climb, but you will be amply rewarded for your exertions at the top, with breath-taking, panormaic views of the surrounding snow-capped summits. You descend the same way back to Kyanjin Gompa. Day 10 - Trek to Lama Hotel, 2,450m/8,038ft - 6 hours. After your time spent in Kyanjin Gompa, you now return down the valley. As the next two days are mostly downhill you are able to cover a lot of distance. You will gain great views returning down the valley, especially with the sun filtering through the leaves once you have re-entered the forest. Day 11 - Trek to Thulo Syabru, 2,230m/7,316ft - 5- 6 hours. From Lama Hotel you continue down the valley crossing the Langtang Khola just before the village of Bamboo. You will contour round the head of the valley and Thulo Syabru will come into view perched on top of a ridge. You drop down to cross a bridge and then climb up through terraced fields and farm houses to reach this pretty village. Day 12 - Trek to Sing Gompa, 3,300m/10,827ft - 5 hours. From Thulo Syabru you head south to Sing Gompa. The trail zigzags uphill and after 45 minutes you will reach a stupa. There are spectacular views of the valley below with 'Ganesh Himal' reaching up to the west and to the north a range of unnamed peaks just over the border in Tibet. There are a few teashops on the way and after about 3½ hours of climbing, predominantly through forest of oaks, hemlocks and rhododendrons, you reach the top of the ridge where you will be pleased to stop for refreshments and lunch at Phoprang Hill. From here you continue south contouring around the western side of the ridge. The trail leads you through a forest, over another ridge before climbing a ladder to cross a wall and into Sing Gompa itself, which is a small village with a few lodges, a gompa (from which the village derives its name) and its own cheese factory. 'Sing' is the Tibetan name for the trees in the area. Day 13 - Trek to Dunche – 1,950m/6,398m, 5-6 hours. The last day of your trek is virtually all downhill, often quite steeply. Leaving Sing Gompa after breakfast you descend past a good viewpoint to Dhimsa where there is an army camp. The path then continues down a set of zig zags before entering a forest of pine, bamboo and rhododendron that leads you to the tiny village of Deurali. This is a good place to stop for lunch. Your descent from here down to the valley floor is very steep except for a section along a mountain path that gives your knees some welcome respite. Eventually, you reach a bridge that crosses over the Trisuli Ganga and from here your final, more gentle ascent, takes you to Dunche. You may have time to visit the small Tamang Museum here, and the main road is lined with shops and lodges as well as places to enjoy a meal to celebrate the end of your trek. Day 14 - Drive from Dunche to Kathmandu - 117km, 3 hours. After breakfast you will leave for the drive back to Kathmandu The road descends from Dunche to Trisuli Bazaar, 546m/1,791ft often making the descent by zig-zags in the road. Returning over the valley rim you make your way back into the Kathmandu Valley and return to your hotel. The rest of the day is yours to relax at your hotel or to head out into the bustling streets of Kathmandu where you will find numerous shops, bars, cafes and restaurants. After breakfast there will be a group transfer to the airport for your flight back to the UK. Trekking in the Langtang Valley was undoubtedly one of the best things I’ve experienced. I followed the trail along the valley to Kyanjin Gompa where the views were truly incredible. Each night I stopped in simple tea houses and received the warmest of welcomes from the lovely local people, as well as some very tasty dal bhat. It felt good to be supporting the communities who had lost so much in the 2015 earthquake but have done wonders in rebuilding their homes and reopening the trails. Now they just need trekkers to return to help restore their livelihood. I encourage anyone to go and experience Langtang for themselves, you won’t be disappointed.